In the market, some operators are preferring to operate the amusement equipment that are already well development, such as bumper cars, merry go round, train rides and so on. While some people are more willing to try new amusement equipments. So what are the matters that operators need attention when operate new amusement equipments? First of all, we have to understand that the new products have certain advantages when compared to the original products. 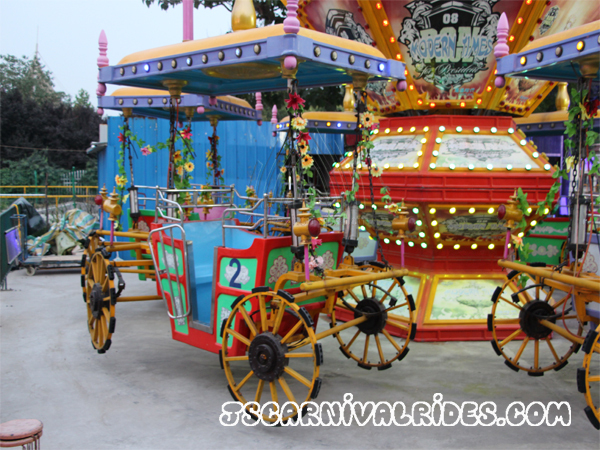 Because the new amusement equipments are designed, developed and transformed on the basis of the original equipment. Regardless of its structure, parts, or appearance, shape, the new amusement equipments are all with unique features than original amusement equipments. Therefore, the operators should maintain your confidence on the new products and carry out efficient publicity and promotion, which are contributed to make the new amusement equipment being more competitive. In addition, most tourists will certain be a little worried about the new amusement equipment, because these products are new to them. So the operator’s major job is to dispel the tourists’ concerns about the new amusement equipments. What operators need to do is that firstly make sure the new products themselves are quality and strong, and second do a good job of surrounding environment security measures to enhance the equipment safety factor. What’s more, in order to attract more visitors to accept the new products in a short period of time, the operators could reasonably put them together with some other popular original equipments, which not only will not affect the popularity of the original equipments , but also will play a very good driving force to make new amusement equipment being accepted by more tourists. What do you need to do to promote new amusement equipment? Matters need attention when operate new amusement equipments. The above is a brief introduction to the relevant content. If have any doubts about the new amusement equipment, welcome to visit our website and inquiry us freely.